Lead capturing is the process of pointing leads towards the information they are looking for in exchange for their contact information. With the Inbound Brew lead management tool, you can view, organize, import, and export lead information all from one place. Our lead management system can help interpret and keep track of how your landing pages and CTA buttons are performing to ensure that your efforts are heading in the right direction. To begin using the lead manage tool, select the “Leads” from your main navigation bar. From the Lead Management tab you can manually input a new lead by selecting the blue “New Lead” button in the top left corner. 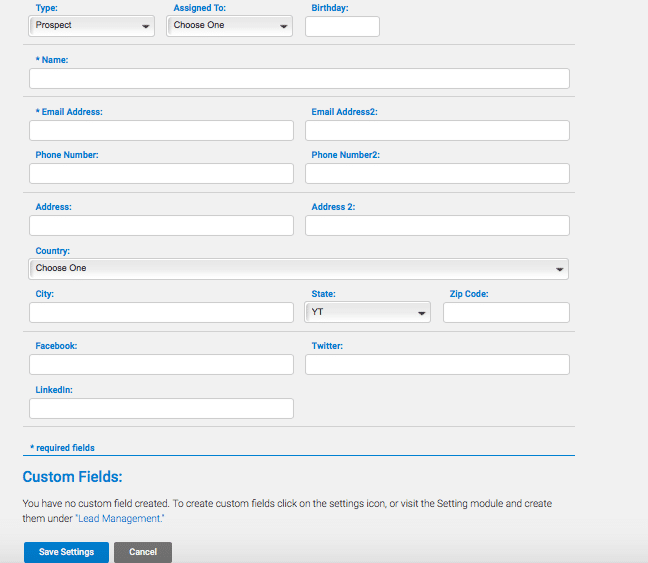 From this screen you can upload a lead’s picture and input their information, add custom fields, input notes, assign them to an employee, and more. If you have a custom form on your website, your lead’s information will be automatically imported into the Inbound Brew lead management system. From the main screen, you will be able to see a list of all of your leads including their name, lead type, date added, and the date of last activity. To view a lead’s profile and basic information, click on the eye icon. To archive the lead, click the mailbox button. If you’d like to call, email, or make a note about a lead, click the “+” button and select your action. You can also view a chronological timeline of activity between a lead and your company, such as emails sent and contact forms submitted. To view a user’s history, simply click the down arrow to the far right of their name. 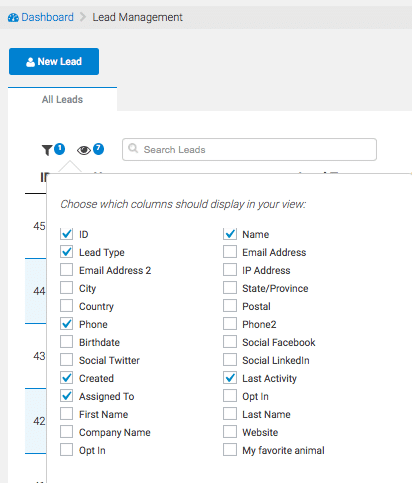 Organizing and sorting your leads is a simple process with Inbound Brew and can be accessed at the top left of your lead database. 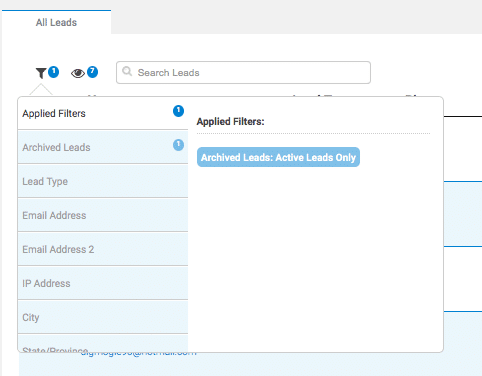 Clicking on the funnel will allow you to sort and view your leads using filter(s) by city, lead type, email address, and more. To rearrange the display of your lead home screen or to customize the display categories, simply click the eye icon to the right of the filter icon. From there you can check or uncheck columns for display. You can also reorder the table by simply dragging the category name to your desired placement.